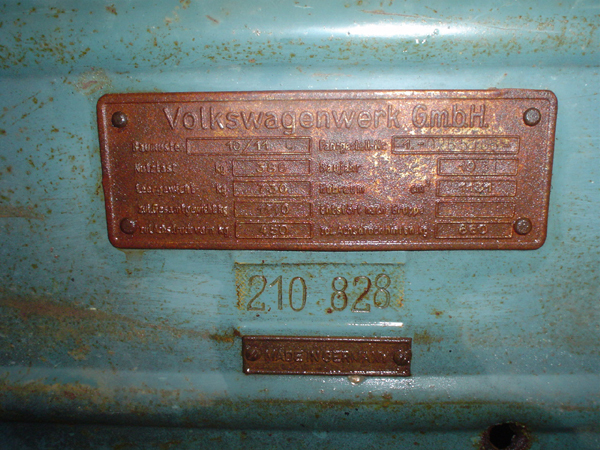 Saw this listed in the local classifieds mistakenly as a 1949 VW Beetle body/chassis. 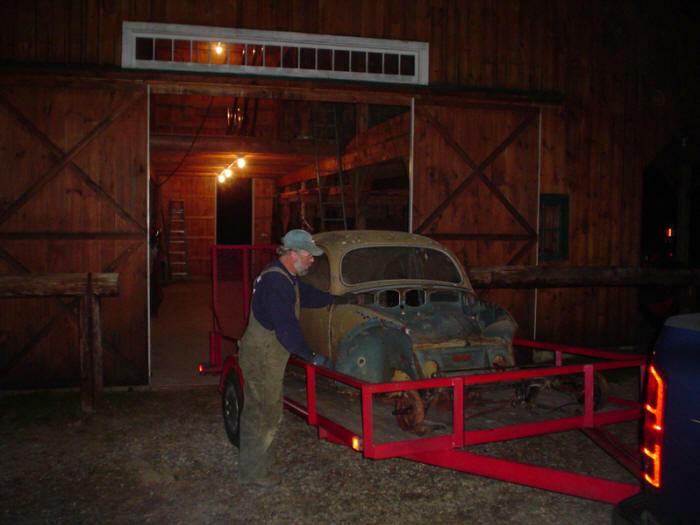 Found in a barn here in Northern New Hampshire, this '51 beetle shell has been kept by the same owner for the last 30-something years, many of which in the top of his barn. 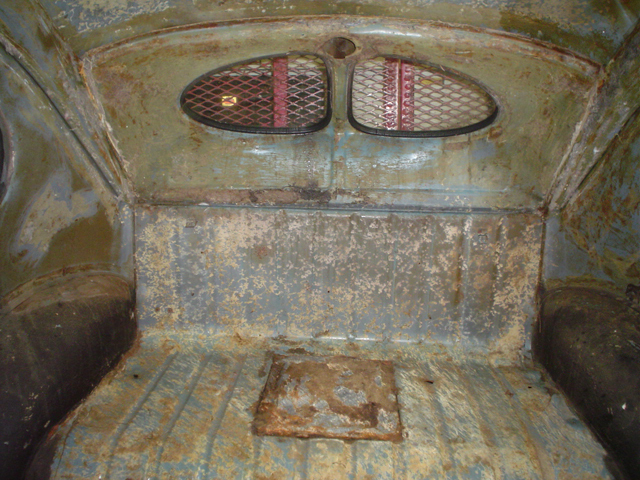 Initially he was going to make it a dune buggy or hot rod, then wanted to restore it to original for his daughter. As life would have it, he just never got around to it and decided to sell it. Unfortunately, as much as I really want to, I think too many of the parts are gone to restore it back to its original 1951 glory- but amazingly the body is very solid. The original heater channels are still fully in tact. All glass is present with the "SEKURIT" logos on every one, and the door glass rolls right up and down! This beetle was a deluxe export model as it has chrome trim around the windows, and the correct ribbed chrome side and hood moldings. The front and rear of the car were clipped way back when, and require replacement. The body does have "crotch coolers"- very 'cool' vents that open in the front quarters and allowed ventilation into the vehicle. I'm not sure on the route I'm going to take with this one. I could make it a 'rat rod' and find a decent chassis with a running engine/transmission to bolt the body on and go... not sure yet. Too much of it is gone to get all the way back to original (without tremendous cost), but what is left is an extremely solid start. Any input/suggestions/comments greatly appreciated. Just Email me! 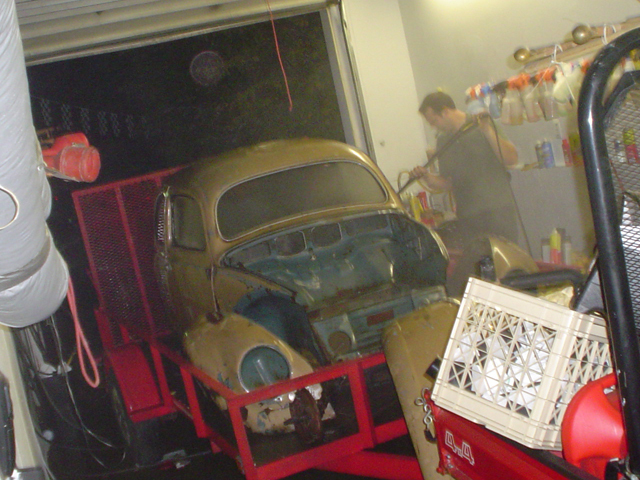 Got it back to my garage, and steamed off the exterior to get rid of some of the bird poop and other droppings that had accrued on the body over the years. Rear clip gone, what's left is a little rough. Above: I got the original fenders with the correct horn grills, and the original hood with the correct trim and three bolt attaching area. 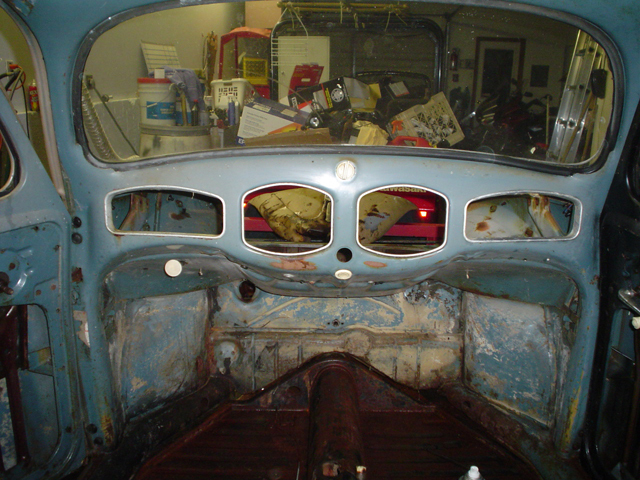 Below: Love that split window dash, all aluminum trim in place, semaphore switch and starter button. Came with a pan, but unfortunately it is a 1956 pan. We'll see where this one goes. I'll be sure to post updates as I get going on this project!